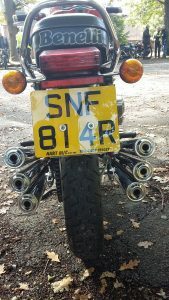 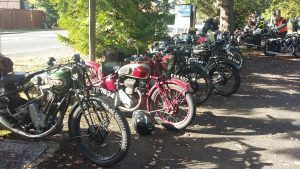 Glorious autumn weather, free cakes and interesting routes – what more is needed? 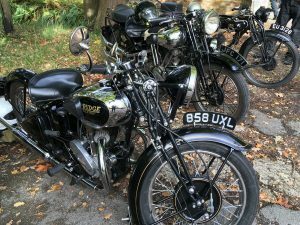 19 girder-fork machines and a further 15 ‘moderns’ took part in the 2018 Girder Fork Run. 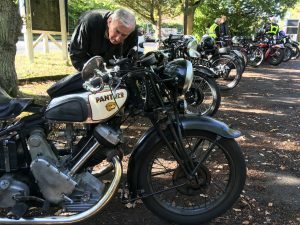 The riders of the girder machines were given a route card that led on a meandering 60 mile run through the Surrey and Hampshire lanes, whilst the modern machines were led on a guided run. 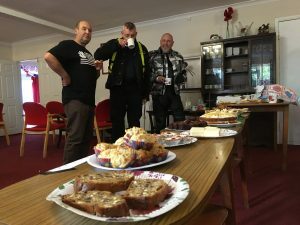 Start and finish was the British Legion Club in Normandy, where cakes and refreshments were generously provided by riders’ partners.